This is the Kona NRB. It’s what the kids are calling a “Gravel Bike” these days. 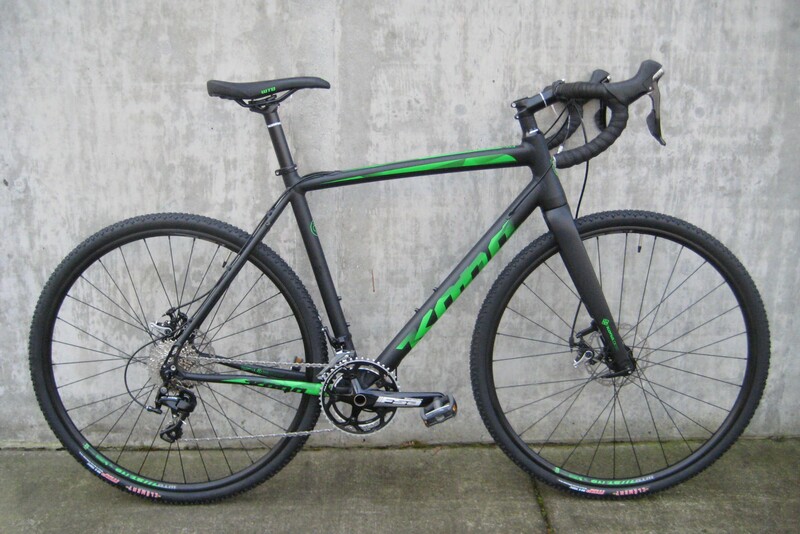 Kona thinks it’s the definition of a New Road Bike (NRB), and they may be right. Road bikes are more versatile than ever. A lot of them, like this Kona, have wheels for pavement as well as dirt. 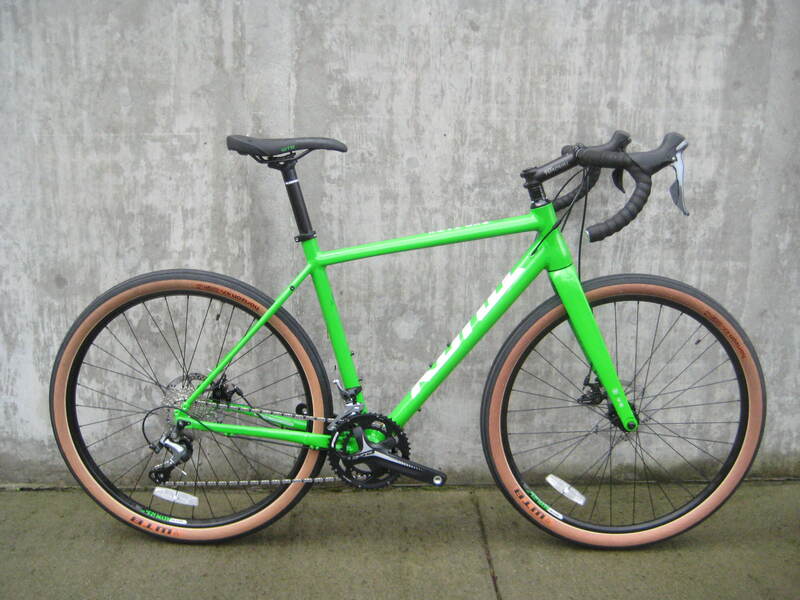 They have disc brakes, wide handlebars and lots of attachment points in case you feel like installing racks, fenders, or other storage packs. The tires on these bikes measure a whopping 47mm wide (on a 650b size rim) so you get a very stable, really comfortable, and surprisingly fast ride. There’s also the Rove NRB DL. I think the “DL” stands for delicious, but I think I’ll pass on testing that theory. The DL version has hydraulic disc brakes, Shimano Ultegra shifting, and a really great looking gold paint job. 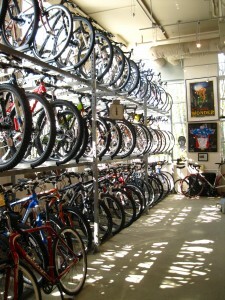 Kona has produced a cyclocross bike for over twenty years now. Early versions were notable for their versatility and modern design. 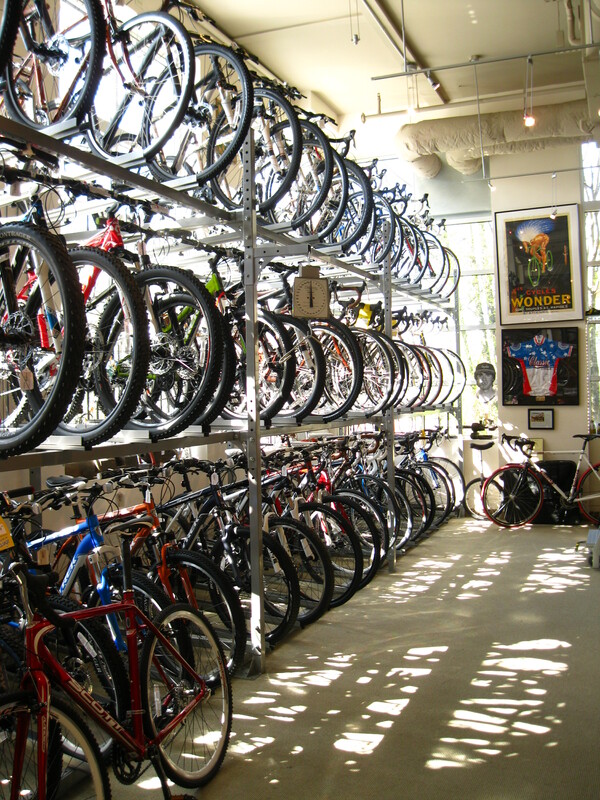 Sometimes the bicycle reviewers were critical of Kona for not being “Euro” enough. Review writers would ding them for having things like water bottle cage mounts or fender eyelets on a racing bike. They would bemoan Kona’s do-everything approach to a bike that was supposed to be raced for 45 minutes a weekend during the autumn and early winter and then sit in the garage for the rest of the year. These days we applaud versatility. Like previous Jake the Snake models, this one handles great and is built with an impressive array of smart and durable component choices. You still get a bike than is fast and light (feel free to race it on the weekends), but the versatility has just gotten better over the years. 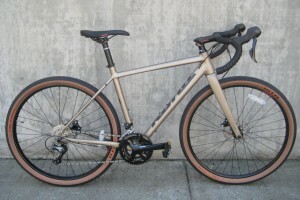 You now get TRP Spyre disc brakes instead of cyclocross cantilevers so you can actually stop the bike on steep descents or when you’re carrying heavy cargo. The Shimano 105 drivetrain has a broader gear range than the cross bikes of twenty years ago, so you can ride up the hills that you used to have to walk, and you can keep up to speed on fast road rides as the top end of the gear range is now similar to that of a road-only racing bike. Another thing that has changed since the late ’90′s? 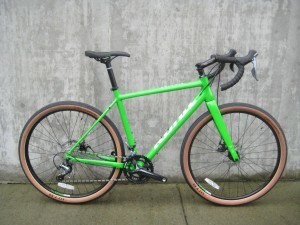 We can sell you a Kona Jake the Snake instead of telling you why the cyclocross model that we stock is almost as good.